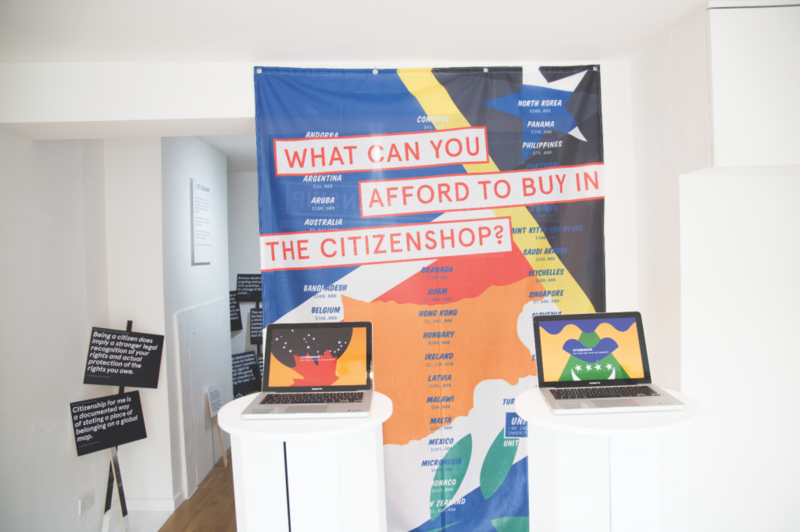 Citizenshop is an interactive travelling installation that opposes the neoliberal concept of the acquisition of citizenship by investment, as is offered by an increasing number of governments across the world today. 2017 (UK) 14-19 March – Who Are We? Nele Vos is a German experience designer, partner at Goller&Vos, strategist and recent graduate MA Narrative Environments from Central Saint Martins living in Berlin. In her self initiated installations she’s interested in the meaning and alternative use of space in times of globalisation and increasing migration. In this context she visualises the mental and physical borders of space through the use of narrative techniques. 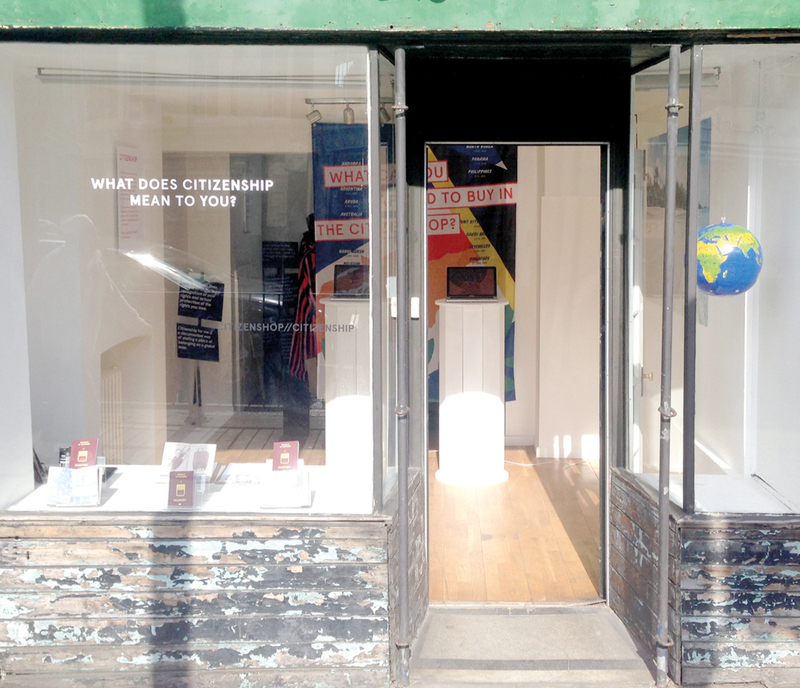 On arrival at the Citizenshop you, the visitor, is given a passport and is welcomed into the international zone of the Republic of Nowhere. 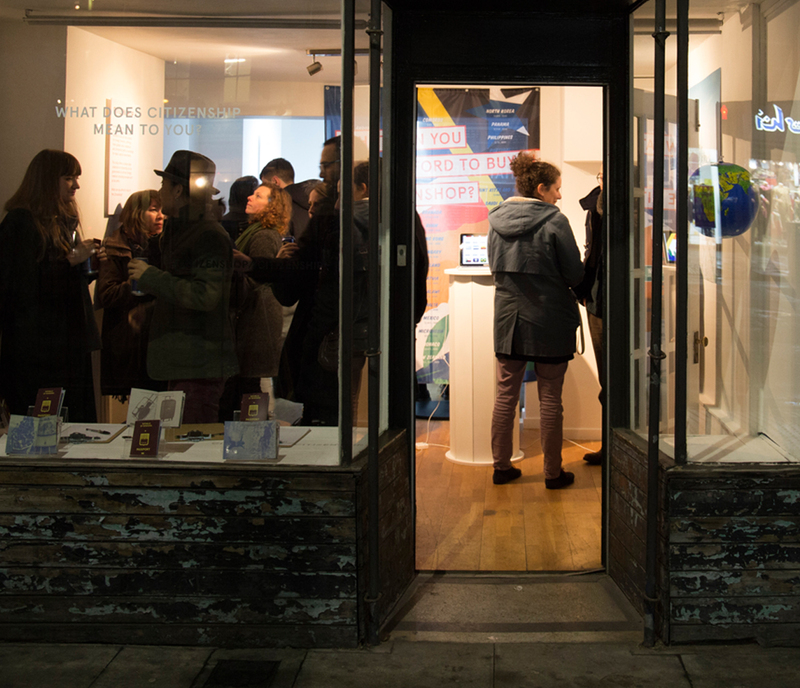 The atmosphere seems at first commercial, and you are directed to a computer. You are now faced with a choice to buy from the international collection of investment programs that the Citizenshop has in its catalogue. But the question is what can you, a humble citizen, afford to buy in the Citizenshop? On committing to purchasing one or many of these investment programmes you are then exposed to the truth: how wealthy tax dodgers and governments use these programs to attract direct foreign investment. 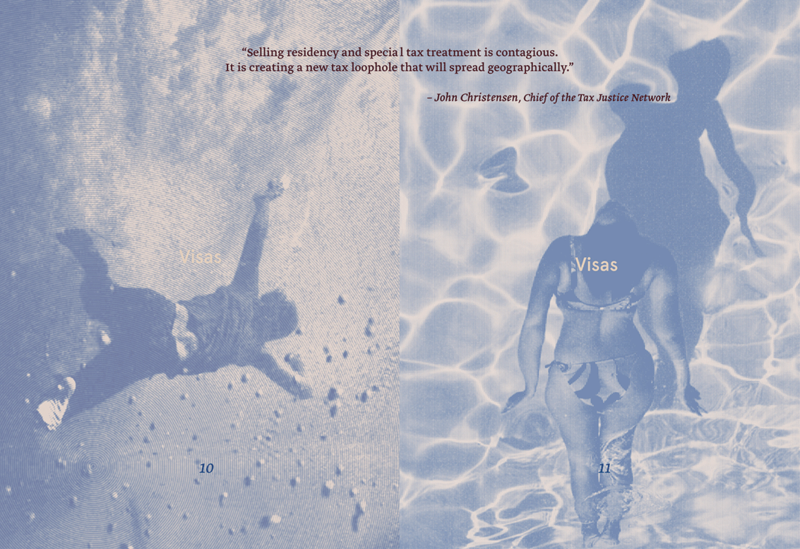 In the second part of the experience you are faced with the juxtaposition of real facts and opinions from sociologists, policy-makers and fellow citizens that aim to highlight the key concepts and the contested nature of citizenship. 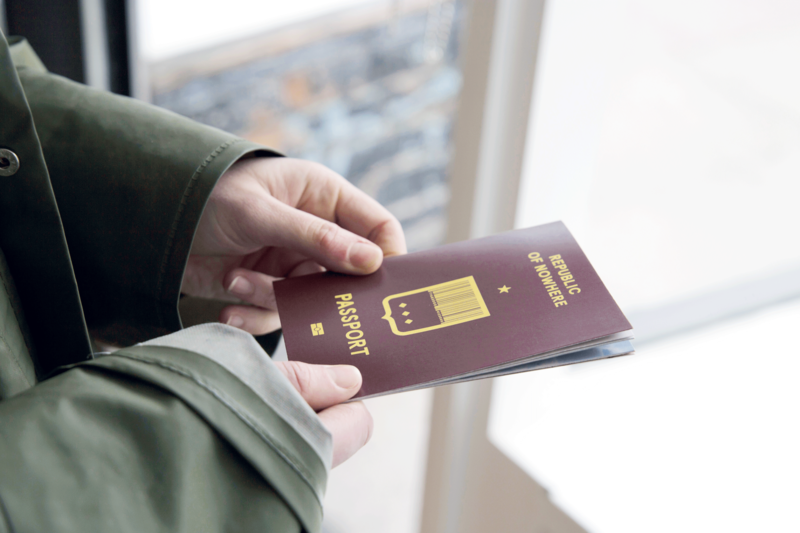 You are then invited to reflect and contribute to the data collection around citizenship by answering the question: What does citizenship mean to you? 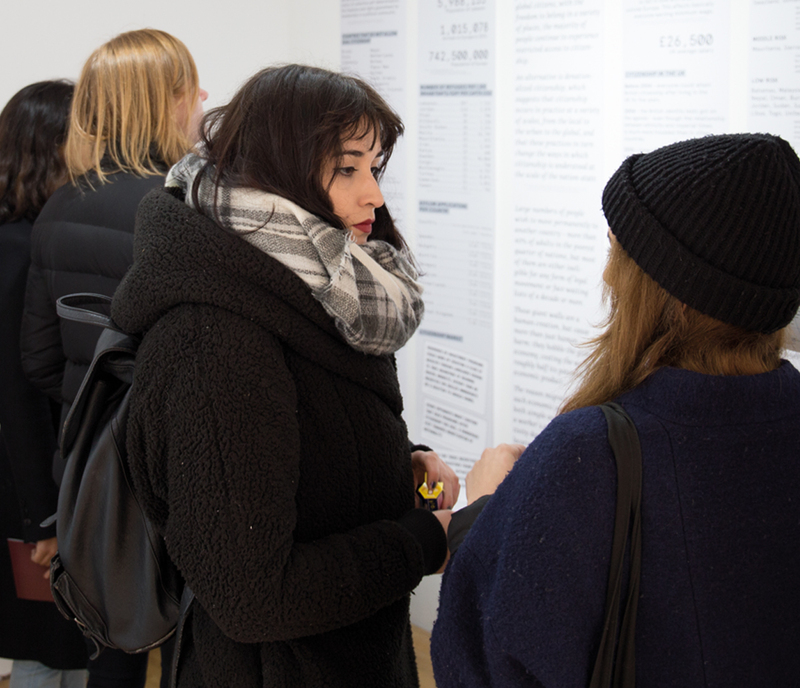 The installation aims to expose and discuss these pressing themes and questions by combining a top down approach on how these are implemented, with a bottom up approach generated from the insights of policy makers and reflections found in one of London’s most multinational neighbourhoods.